The woman who accused a former state senator of sexual harassment says that the accusers of public officials need to have rights. Denise Rotheimer, who had accused former state Sen. Ira Silverstein of Chicago of sexual harassment in 2016, says that she was not even given status updates on her complaint when going through the process, and that such treatment of accusers needs to change. Rotheimer has written legislation, House Bill 1474, amending the State Officials and Employees Ethics Act to provide specific rights for complainants. Rotheimer said temporary legislative inspector general Julie Porter told her that she merely filed a tip with the government and because of that did not feel she was ensured status updates in the case. Porter did find Silverstein behaved in a “manner unbecoming a legislator” in Facebook comments with Rotheimer, but cleared him of sexual harassment allegations. Silverstein was beaten in the 2018 Democratic primary. 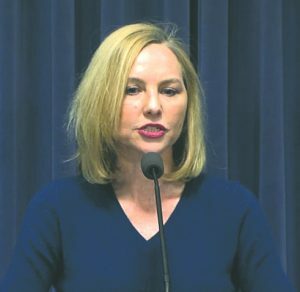 State Rep. Anne Stava-Murray (D-Naperville) has introduced the accuser rights legislation, which Rotheimer wrote. The legislation has been sent to the House Rules Committee for consideration. “(It) proposes to provide complainants with rights,” Rotheimer said of the legislation. She said the legislation aims to provide fairness through the accusation process. If the legislature would appoint a permanent legislative inspector general, Rotheimer said, that individual would have independence from lawmakers and the ability to investigate cases at his or her will. Rotheimer said that there has not been an appointed legislative inspector general since 2008. 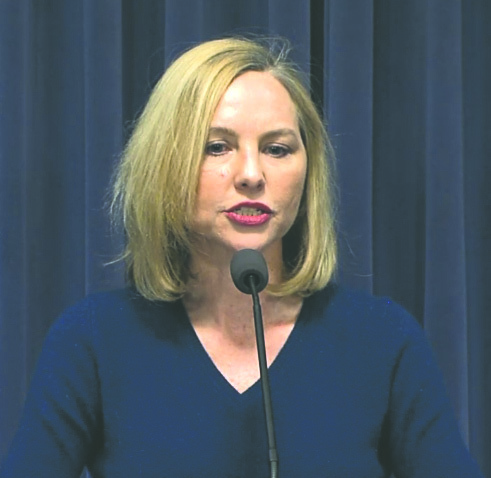 State Rep. Terry Link (D-Waukegan) introduced a state Senate resolution Feb. 6 — the same day as Rotheimer’s press conference — calling for Carol Pope to be appointed permanent legislative inspector general when Porter’s tenure is up at the end of February. Other legislation that Rotheimer is pushing would change the composition of the Legislative Ethics Commission from legislators to independent members, and remove the requirement that forces the acting legislative inspector general to get LEC approval for investigations.